November | 2015 | hellotwinkles. This has been playing on ny mind these past few weeks when ive been feeling a bit low. Ive been feeling like the worst mum ever to my little twinkles. I have no patience and ive been shouting at the girls. Ive been telling them off when theyve been misbehaving by hitting each other, pushing each other and rowing with one and other. Ive been telling them off for climbing on our nest of tables and squirting milk all over the tv and tv cabinet- oh and how they love squirting milk everywhere. I always seem to struggle to turn the pages of their books recently as theyre glued together with milk!! Ive been saying No! Everytime the girls start playing with the brush & mop in the kitchen. I get frustrated with the girls when they dont nap at the same time just because that means i wont have a break all day from them. All about your first born! 1. Was your first pregnancy planned? Yes, even though we said we wouldn’t actually ‘try for a baby’ just so we wouldn’t be disappointed if we weren’t pregnant. But yes, it was planned :)But having twins was not planned!! That was the biggest shock of our lives! 2. Were you married? Nope, got engaged 5 months after the monkeys were born. 3. What was your reaction to finding out? i was ecstatic!! It was what we both wanted! 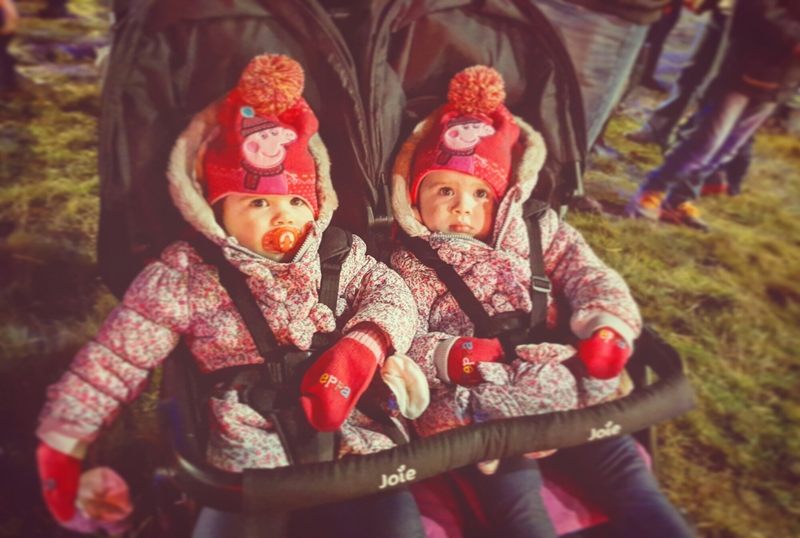 🙂 finding out it was twins however, i don’t think ill ever get over the shock of having twins! 4. Were you induced? Yup, and in my case it wasn’t a very good experience. 6. Who did you first tell? Jamie, i text him when he was in work. Yes, TEXT him! Even though we were trying i was still nervous to tell him that we were in fact pregnant! 7. How did you find out? As we were trying i was very aware of my cycle. So when i was late i asked my sister for a spare pregnancy test she had in her wardrobe. 10. Did you deliver early or later than due date? I got induced at 37+6 weeks due to the struggles of a twin pregnancy, damn you sciatica and back pain. Had an emergency c section in the end. 11. Did you have morning sickness? Yep! I didn’t really puke just felt sick and heaving! 12. What did you crave? Slush puppy, Twiglets, tropical juice. 13. How many pounds did you gain from your pregnancy? i have no idea to be honest. I didn’t weigh myself! I hate weighing myself! 15. Did you have any complications during labor? yes, pessary made me have hyper contractions, so they had to remove it, failed first epidural so ended up having it twice. And then had to have an emergency c section due to the fact that emilia was lacking oxygen and cause her heart rate to shoot up. 16. Where did you give birth? At my local hospital. 17. How many hours were you in labour? Erm, 14 hours i think? Not sure. I was high as a kite. 19. What did you name him/her? Emilia Kate & Gracie Mae. 20. How old is your first born today? they are exactly nineteen months old today! Aww I loved doing that! 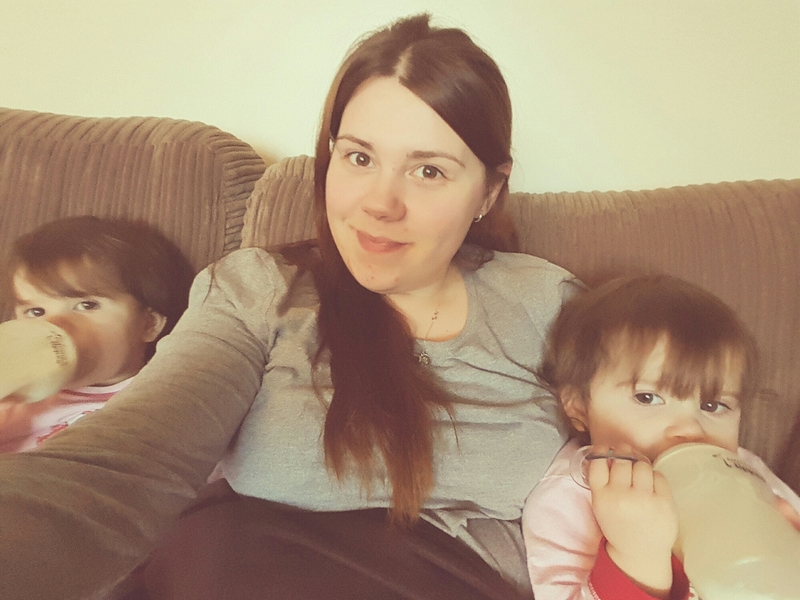 I absolutely loved being pregnant, even though it was a struggle towards the end! I would do it all over again! The past few days have been really hard. The same time every month just before im due my monthly’s i get really low and this week i got really low! I dont remember the last time i was that low, its been a while! The past week i have been thinking all sorts of horrible things in my head and i got to the point that i started to believe what i thought. 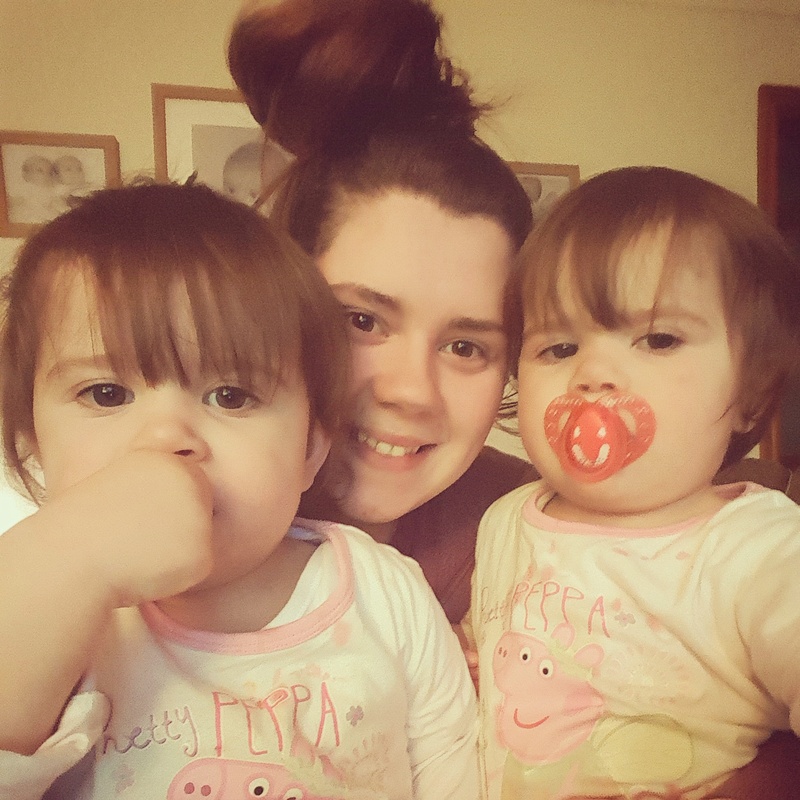 I thought that i was a terrible and horrible mother for shouting at the girls and because i had no patience with them and that i didnt deserve to be a mum, that i was an awful fiancée to Jamie for always being short tempered and always in a bad mood and i thought that everyone hated me and was saying awful things behind my back. I was thinking that i was disgusting and fat and that i should start starving myself again. To be honest those thoughts havent really gone away but im trying to deal with them in my own way. Depression and anxiety really is a horrible illness and its ruining lives. Ive freaked myself out this week as its gone from bad to worse. For 3 years now ive been dealing with my demons all on my own but ive finally admitted to myself that i need the help again. ive become so short tempered & impatient. Even when i battled with the demons before ive never been like this. So to be a better mother & fiancée I’ve accepted that i need help and i’m going to ask someone for help. Everyone needs a little help now & again and im not embarassed to say that i need help… I NEED HELP!! Ive come off facebook this week as i found myself scrolling down my news feed all day long and not playing or reading to the girls much which isnt fair on them and to be honest i dont know what i was looking at on facebook. I really dont miss it whatsoever! I found that i was jealous of everyone just because im battling with my demons and im so negative about everything at the moment and i felt as if everyone was happy but me. Ive become a jealous mess and thats the reason ive come off facebook. I feel better already after coming off it. Im actually living a bit now rather than living in social media! And dealing with this all in my head ive also got two teething toddlers who loves throwing tantrums all day long and who dont like to sleep! Im sure i got up ten times last night between the both of them. So this morning im in serious need of coffee and some matchsticks to keep my eyes open! Its going to be a long day!Bring on 5pm when Jamie comes hoem from work! Im counting down the hours until jamie is off work on thursday for five days! I get my 4th day off from the girls in 19months on sunday and i cant wait. I think its just what we all need, us and the girls! 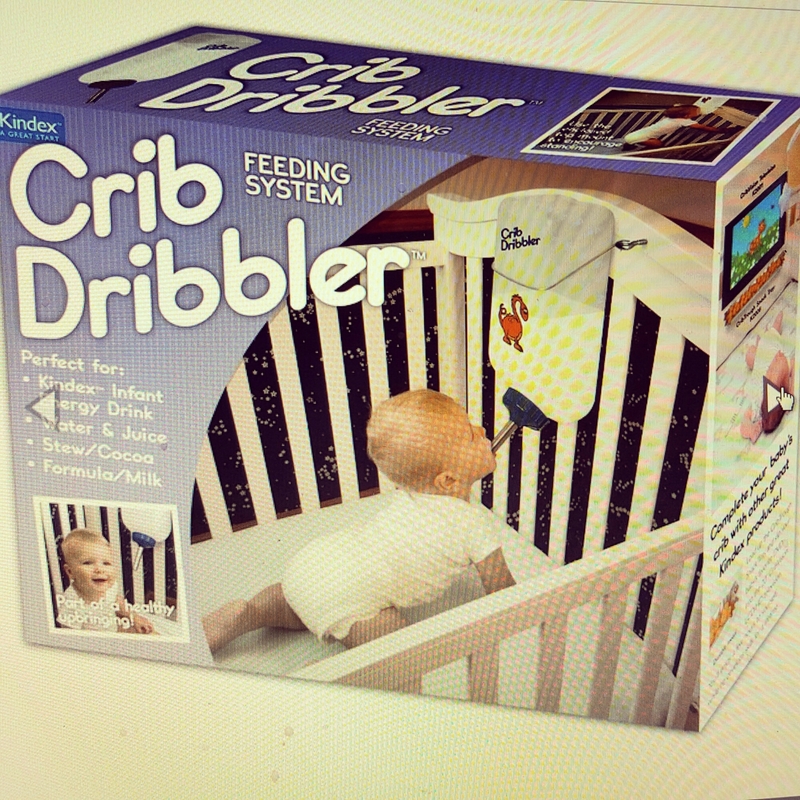 The girls need this at the momemt with tthe amount of times they wake up at night demanding milk. Such milk monsters. Damn you teething! Yep thats right, 24 whole years on this planet.. wow! And in that 24 years a lot has happened for the worst and for the better! So now the depressive bit has been said, my 24th Birthday wasnt anything special really. Jamie was in work all day from 6.30am until 5pm and the girls weren’t well all day and slept for 2 and a half hours in the day. But do you know what made my Birthday so special to me? I had my family around me. After jamie came home from work thats when i really started to celebrate and thats when it actually felt like my Birthday. We had chinese food which was lovely and sat in front of the tv watching ‘orange is the new black’ which ive started to get in to, i cant get enough of it (currently on season 2 so dont spoil it for me ha). Jamie even got me a cake. Anyone who knows me knows that i hate fuss and i hate the ‘Happy Birthday’ song being sung to me. But yesterday it was so special to me when Jamie came out with a cake full of candles singing to me. It was just the four of us. 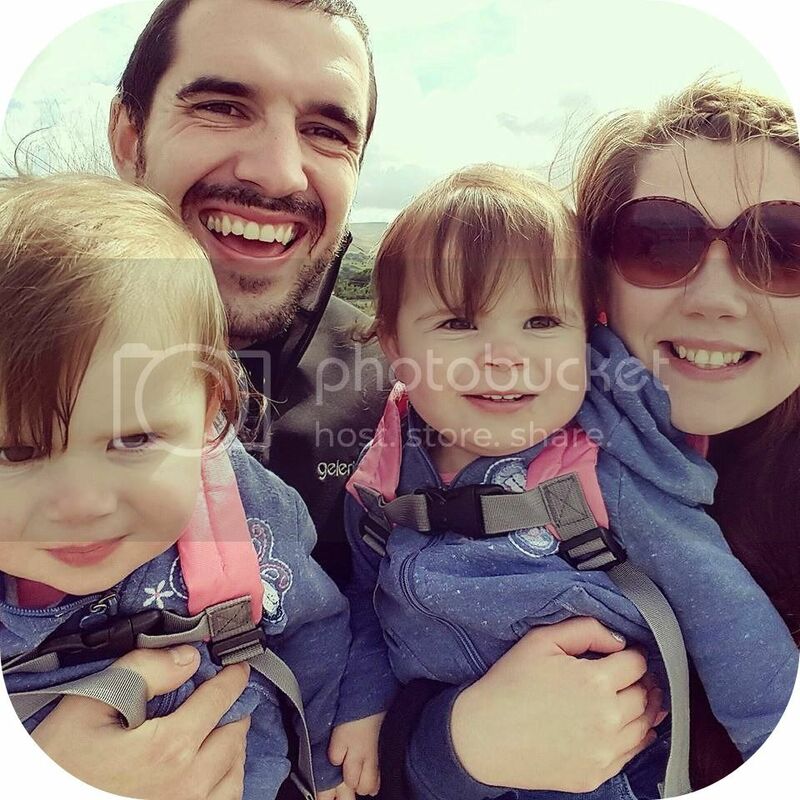 Jamie, Me, Emilia & Gracie. And the girls helped me to blow the candles. All day i thought, what a boring day, but it wasnt. I had a lovely day. Even if my birthday only started when Jamie came home from work. I had such a special day/night and i cant thank Jamie enough for going into so much trouble for me. 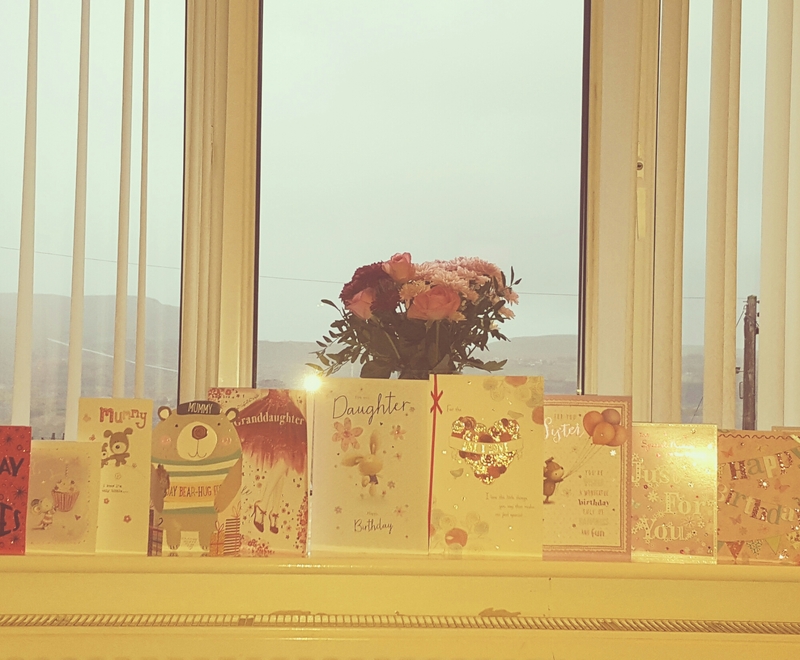 From my little monkeys i had a set of Pyjamas, pair of slippers, box of black magic chocolates, pair of lounge socks, Zoella’s first book, and also a disney anti stress colouring book which i LOVE and from my Jamie i had a lovely bunch of flowers! 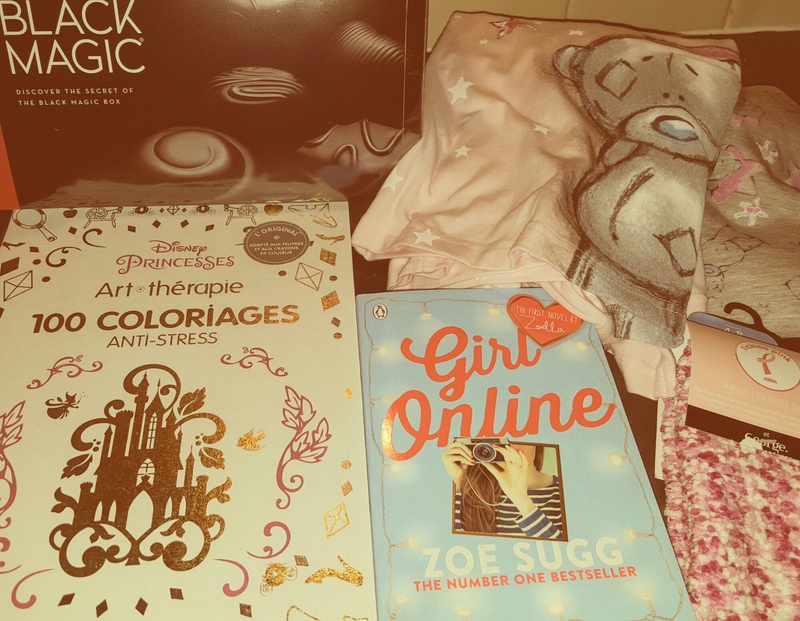 Ive been spoilt this year and a lot of thought went in to it by Jamie. So after all the build up for Halloween 2015, it has been and gone, done & dusted and we can start to look forward to Christmas-Christmas being the most wonderful time of the year!! 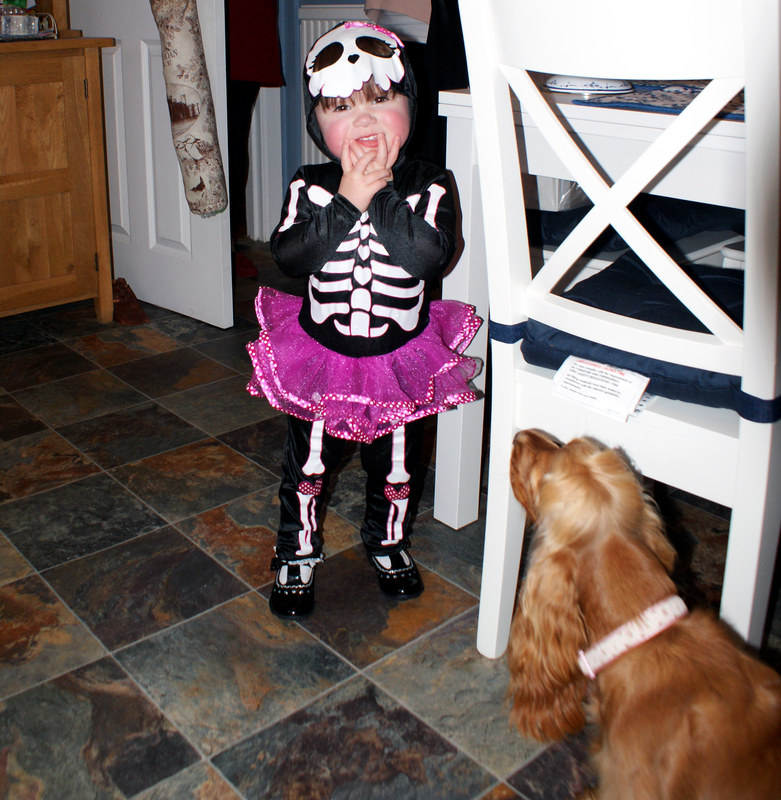 This Halloween was so much different to last years and more fun. 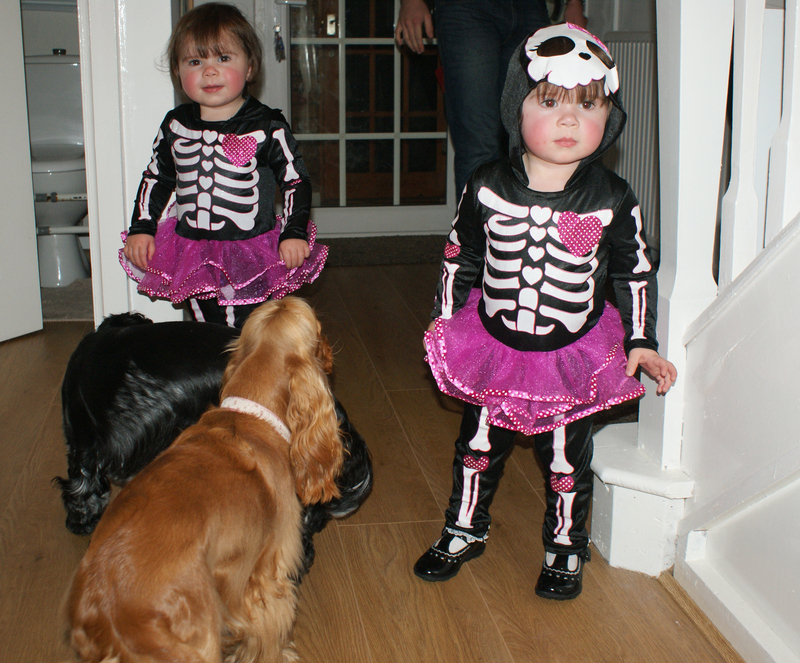 The girls were only 6 months old last year so we didn’t really do much only dress them up in pumpkin babygrows. They didn’t understand what was going on so i didn’t really bother to do much really and we were living with relatives last Halloween so i couldn’t really do much. But this year, This year was different. I carved my first EVER pumpkin!! and i think i did a pretty good job if i do say so myself! I also made some biscuits decorated with Halloween theme and cupcakes too. 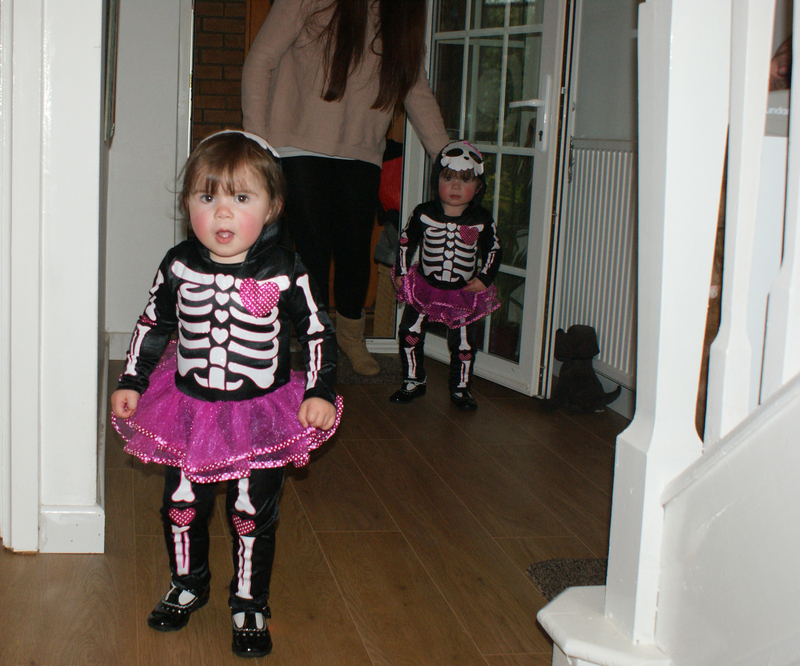 and of course we dressed the girls up as Skeletons. i absolutely loved their outfits, they were so girly and wore them all day. 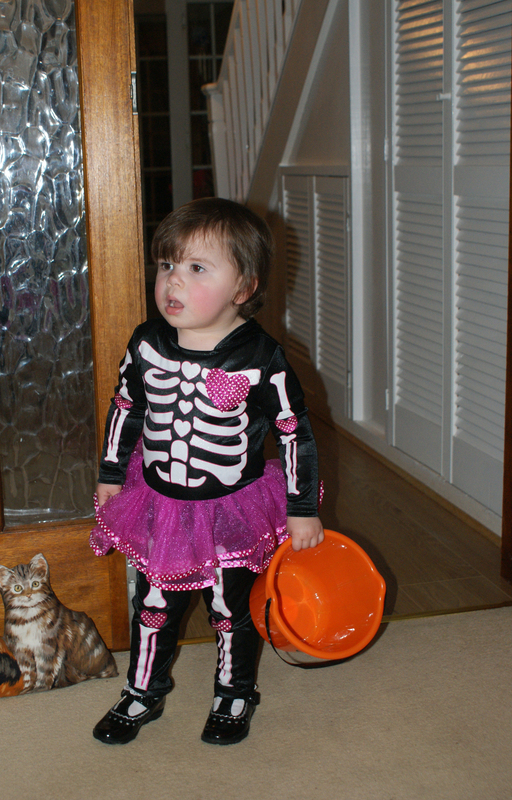 we went to relatives houses trick or treating and the girls had so much fun! but at the end of the day we were all knackered and ready for bed by 7pm!! I’m not really one for Halloween but this year Ive tried to be more involved in it for the girl’s sake and I’ve had so much fun, well we all have as a family. Next Halloween will be better again! !